Escaped the desert and the heat over the weekend to find a different kind of beauty up north in Strawberry, Arizona. It's up in the pines, and around the mountains. A sleepy type town, with nothing to do except explore outside, wear flowers in our hair, and listen to the wind. It is officially summertime here. What a perfect location for your outfit. You puppies are adorable. WOW, that skirt is stunning! Your photography skills continue to amaze me! How did you become such an amazing photographer? Does someone take these pictures of you, do you use a remote or what? Do you edit in photoshop elements? Can you recommend a great source for learning how to use PSE? Do you use actions and if so, where do you purchase? Beautiful! Beautiful images. I would love to move to a town called "Strawberry." It has to be awesome, for sure! I love your skirt! I'm obsessed with anything lace, but I've never seen a maxi skirt designed like that! Beautiful pictures. What a beautiful photoshoot! And the dog- precious. My boyfriend and I are hoping to get up to Strawberry in a couple of weeks to go to Fossil Creek. Can't wait! Your dog is precious!!! And I adore your pretty skirt. That skirt is gorgeous! You look amazing in these pics! That is the most amazing skirt! I've been loving the maxi skirts with chambray's this season, but you're doing it best in these photos I think! Can't go wrong with the chambray and lace- gorgeous outfit! And that dog?!?! Can I have one please?!?! Not normally cute! That looks so idyllic! And your skirt - I'm obsessed! What a beautiful skirt. You look simply gorgeous! Your dog is ridiculously adorable! this is just too cute Katie! Phx is way too hot, I need to head north too! That skirt is gorgeous! Such lovely photos you have there! Gorgeous!! Loving this skirt and outfit!! Your dog is so precious.. Your outfit is absolutely exquisite. That skirt is divine and paired with the denim shirt it is a gorgeous look. I have been going through your posts and I am in love with your blog! Newest follower! Cant wait to see all your posts! Such an adorable pup you have! Love the chambray & crochet combo! You really have the figure for a maxi skirt like that! Such pretty pics. I adore that skirt! LOVELY PICTURES! THE OUTFIT IS MAGNIFICENT! AND THE PICTURES WITH THE DOG WAS OUSTANDING!!! These photos are gorgeous and I love your bohemian maxi skirt! I love your hair in this post, so natural and pretty. That shirt is so cute, I have the same one and I love it. Pairing a little belt just pulls this outfit off perfectly. I just want to cuddle that cute little pup of yours. so sweet! Love the photos and you look stunning! Hope you had a great time. Love love love love that skirt! Just discovered your blog! I love how you paired this gorgeous skirt and denim shirt. I absolutely love this! 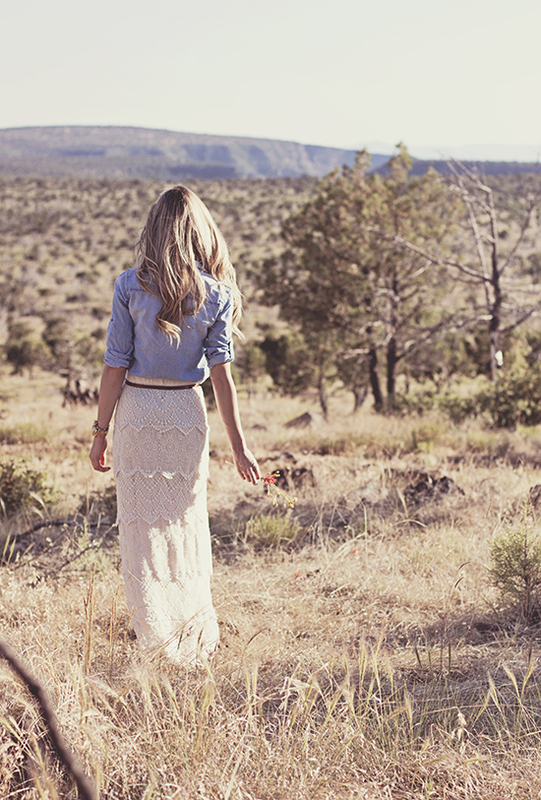 That skirt is so amazing and is perfect with the chambray. Totally obsess with the skirt... mostly obsessed with Tayla and her floral headband. Such a pretty 'meadow fairy' look! Love the last picture:-) Hope you are having a wonderful day! I love heading up to Strawberry, AZ to escape the Phoenix heat. That skirt is beautiful and so are these photos. 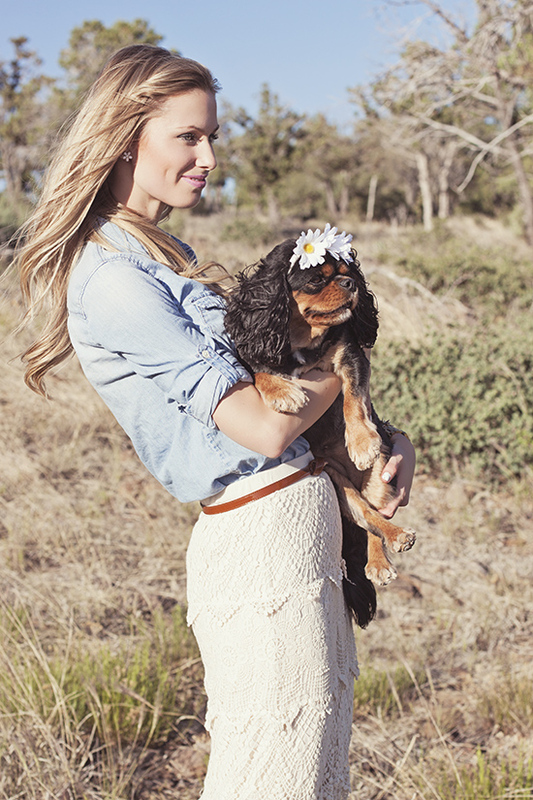 seriously in love with that skirt and your oh so cute pup! love this outfit, and you look so gorgeous! SQL Paging Strategy Formation involving Web pages: Like a relational database administration technique (RDBMS), Microsof company SQL Hosting server conditions big information portions at every minute. Pertaining to handling this number of information, SQL makes use of paging technique. On this paging technique,Windows Product Key, details are split into logical & manageable web pages that are sequentially in connection with one another. It is possible so that you can cross backward and forward upon these kind of web pages. Cute puppy you have there! 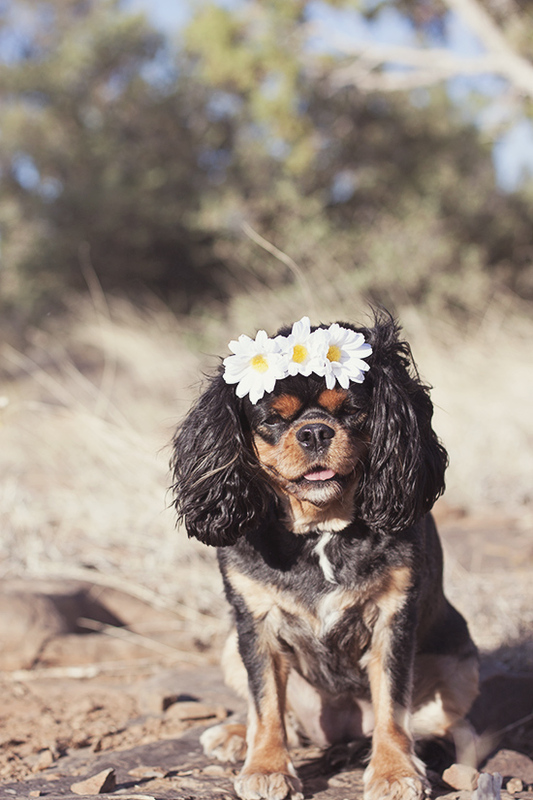 She seems to enjoy the flowers on her forehead. I assumed the puppy is a female. What’s her name? She is fashionable as her owner who gives glamour to a heated desert out there. The skirt worn is gorgeous and blends with the brown surroundings, giving it more life! But to top it all, I love the picture of you with cute little puppy. Knitted dress really is wild models! this is such a perfect outfit. I absolutely adore it. great blog! Nhạc Phách đã đến hiện trường, hắn nhìn thấy Nhạc Giác nằm xuống, lúc này Nhạc Phách kinh thán thực lực Nhạc Thành, nhưng đối với Nhạc Thành cũng rất là bất mãn, không nghĩ tới Nhạc Thành nặng tay như vậy. trung tâm ngoại ngữan dược nhét vào trong miệng Nhạc Giác. - Hừ, ta quá phận sao, nhưng mà bọn hắn muốn đưa ta vào chỗ chết, ngươi còn nói ta quá phận, trên đời này còn có đạo lý này hay sao, Nhạc gia thật đúng là không giảng đạo lý, ta họ Nhạc cũng cảm thấy thẹn. Nhạc Thành lạnh lùng nhìn Nhạc Phách nói.